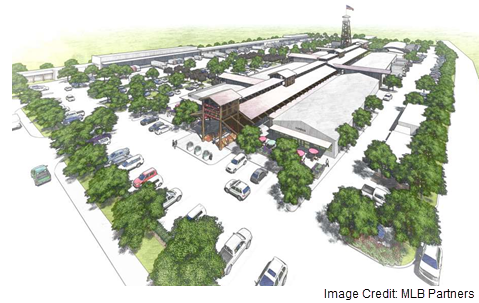 Houston Farmers' Market at 2520 Airline Dr. will phase in construction over the next three years to allow parts of the roughly 17-acre site to stay open, developers say. Houston-based MLB Capital Partners closed a deal in May to buy the market, which coincided with a $22.04 million capital raise to make the acquisition and fund future plans. • defined sidewalks, site landscaping and dedicated green spaces. ​C​heck out Houston-The Woodlands-Sugar Land Retail Market Research.